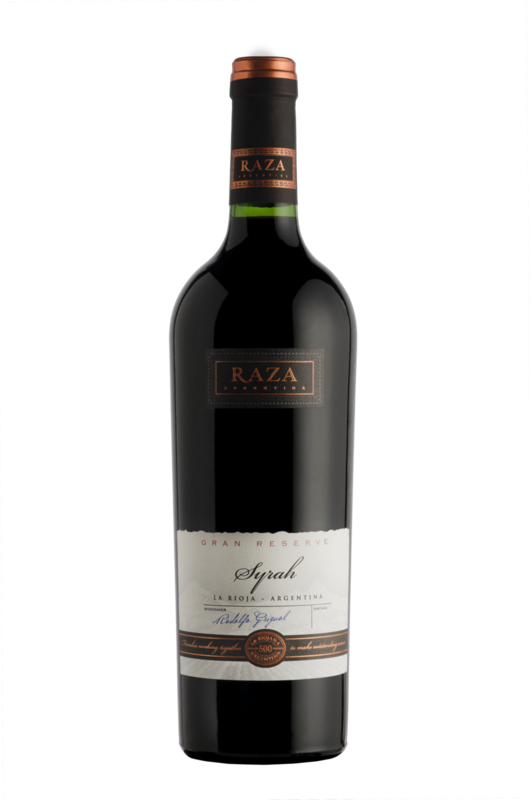 Raza Argentina is our flagship brand, which we have designed to include three main tiers: varietal, Reserve and Gran Reserve in order to compete at different quality price points. In addition to this, the Signature Series has been created by our chief winemaker to salute the very best of each vintage. Tasting notes: A striking bouquet, bursting with orange blossom, melon and peach aromas, accompanied by fresh fruit flavours, intense acidity and a lingering finish. A wonderful example of the exclusively Argentine grape variety. An ideal apertif or enjoy with grilled fish, seafood, chicken dishes, creamy pasta dishes or mature goat's cheese. Tasting notes: A medium bodied, juicy wine with soft fruity aromas and flavours, accompanied by smooth tannins and a lingering finish. The perfect match for a good steak, game, pork, pasta cheese or chocolate. Tasting notes: An elegant, crisp and refreshing wine with intense citrus aromas and apple flavours, complemented by a well-balanced structure and a lingering finish. The perfect aperitif for any season and any occasion. Tasting notes: A medium bodied wine with warm, juicy red berry and ripe plum flavours, accompanied by a smooth and even texture. The perfect match to pork dishes, meat stews or cheese. Tasting notes: A juicy, medium bodied wine packed with soft, fruity aromas and flavours, accompanied by smooth tannins and a lingering finish. The robust character of this wine makes it the perfect partner to red meats, in particular beef or cheese. Tasting notes: A delicious, fresh, fruity, dry white wine with complex citrus and tropical fruit flavours, accompanied by a smooth, round finish. An excellent example of Argentina's signature white grape variety. Great on its own or with grilled fish, chicken dishes, creamy pasta dishes or mature goat's cheese. Tasting notes: A robust wine bursting with little red and black fruit aromas. Barrel ageing adds vanilla, chocolate and tobacco aromas, giving complexity to the bouquet. On the palate it is full, long and well balanced. An ideal choice for a good rump steak, cheese or chocolate. Tasting notes: This is a big wine, with deep violet, red fruit, plum, cherry and hazelnut aromas. Barrel ageing also adds vanilla, chocolate and tobacco aromas. On the palate it is full, elegant, well balanced with a spicy finish. Fabulous with a grilled rump steak, pork chops, cheese or chocolate. Tasting notes: This wine's aromas are reminiscent of ripe plums, raspberries and gooseberries. The palate is full, long and well balanced. Barrel ageing also provides the wine with vanilla, chocolate and tobacco aromas. A great match for grilled red meats or cheese. Tasting notes: Rich in character, this is an elegant wine brimming with attractive ripe plum and cherry aromas, accompanied by an underlying hint of dried fruit. A truly outstanding example of Malbec from Argentina, as well as a perfect partner for a good rump steak, tomato based pasta dishes and cheese. Tasting notes: A lively personality with attractive floral aromas, as well as hints of grapefruit, apple and melon. This wine has good acidity and the persistent effervescence gives it a fresh finish, highlighting the fruity aromas. An excellent aperitif for any season and any occasion. Tasting notes: This is a full flavoured wine made from a harmonious blend of Malbec and Shiraz grapes, which have been organically grown in the remote and beautiful Famatina Valley. An ideal choice for grilled red meats, casseroles or cheese. Tasting notes: This Malbec is an intensely rich, full-bodied wine, bursting with attractive ripe black fruit and little red fruit aromas. Barrel ageing adds chocolate, vanilla and tobacco aromas, as well as giving complexity to the bouquet of the wine. A perfect choice for grilled rump steak, tomato based pasta dishes, cheese or chocolate. Tasting notes: This is a notably aromatic wine, packed with floral, green melon and white peach aromas. On the palate it is well-balanced with a citrus flavour and a crisp, lingering finish. Great on its own or a great match to grilled fish, chicken dishes, mature goat's cheese or slightly spicy Asian cuisine.